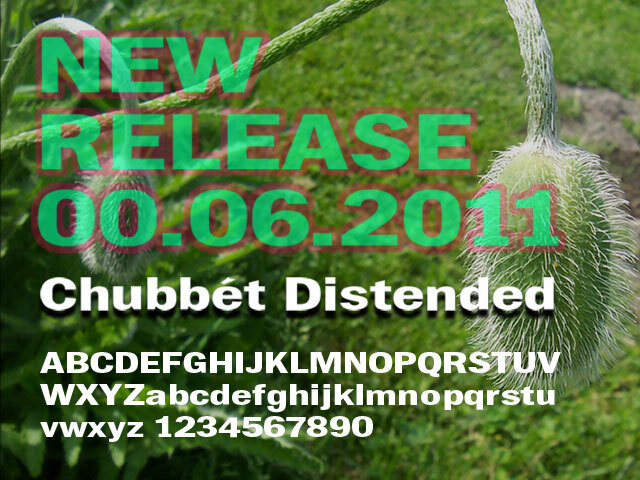 The Grotesque Typeface family Chubbét created by Stephen Boss in late 2011 has just widened to include Chubbét Distended in Regular, Regular Italic, Bold, Bold Italic, Black and Black Italic. Rather than creating an extended version of the designer decided to distend it, keeping with the name. The family was inspired by Venus and various other sans typefaces, with the intention of headline applications and is now available at Fonts.com and itcfonts.com.